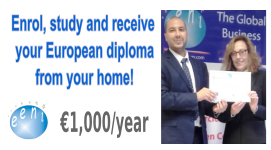 Syllabus of the Online Course (Subject): Issad Rebrab (Algerian Businessman). Issad Rebrab (Algerian Businessperson) was born in Ouzou (Algeria) in 1944. In 1971, Issad Rebrab acquired 20 percent of the Algerian metallurgic enterprise SOTECOM. 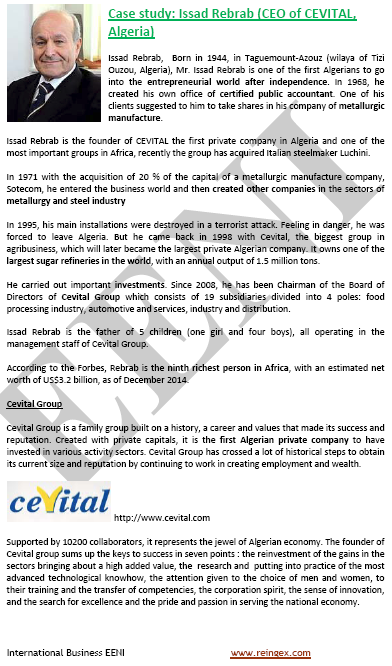 In 1998, Issad Rebrab returned to his country and founded CEVITAL. The five songs of Issad Rebrab works in CEVITAL.